Katanning is a town in Western Australia with an approximate population of 4500. The town’s name was first recorded in 1880 but its origin is undecided. Some believe that it came from the aboriginal name Kartanup which means ‘a meeting place’ while others say that it originated from two native women names, Kate and Anning. In 1835, explorer John Septimus Roe discovered the Katanning region. The following decade, sheep farmers started to migrate flocks toward the area and some Sandalwood cutters also arrived in the region. 1852 marked the first purchase of land in Katanning when Elijah Quartermaine bought four hectares which he named ‘Yowangnup.’ In 1865, the first police officer of the Police Pools, Terrace McKenna was appointed. Mckenna left in 1867 and was replaced by William Grover. The Police Pools was abandoned in 1873. The township of Katanning came to existence in 1880. Eight years later, the Piesse brothers, Frederick and Charles founded the F&C Piesse firm. In 1889, the construction of the railway from Beverly to Albany was completed and Katanning underwent several changes. The Piesse brothers founded the Katanning Hotel located at Austral Terrace. They also decided to build the Katanning Roller Flour Mill the same year which would be completed and begin its operation in 1891. The first Cricket Club was also established in 1889. The first school in Katanning was founded in 1890. The school initially had 16 students and was led by teacher Mary Bell. F.H. 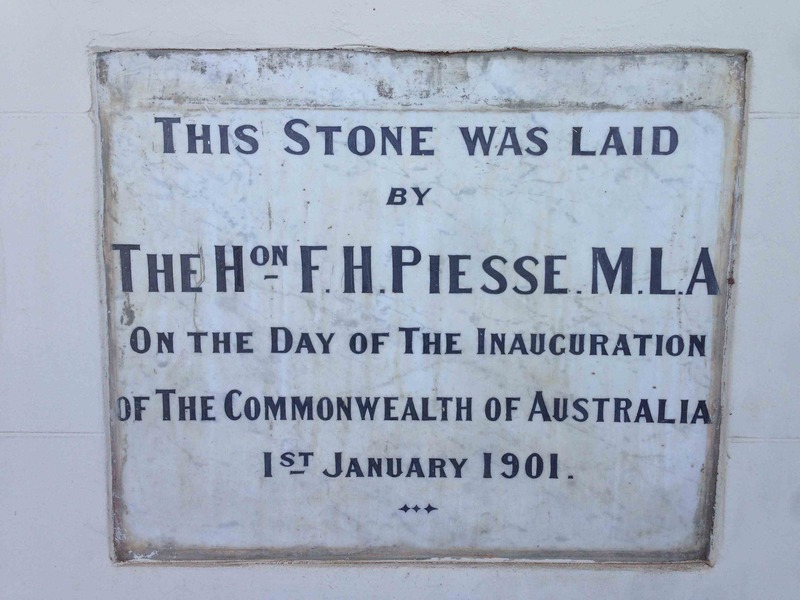 Piesse was elected to Parliament the same year. In 1891, Katanning made history by being the first town in Western Australia to have electric street lights. The Royal Exchange Hotel was also established in 1891 and an aerated water factory was built in the township. 1892 marked the foundation of the Katanning Brickworks and the arrival of the first medical doctor in Katanning, Dr.House. The first election for the Katanning Road Board was held in 1893 and St. Patrick’s Catholic Church was founded. A year later, the first government school in Katanning was established, known today as the Historical Society Museum. 1898 was a significant year for the town of Katanning as it was officially recognized as town of the State. The reconstruction of the Katanning Hotel was completed the same year after the old building was burnt down the year prior. In 1901, Katanning’s newspaper, ‘Great Southern Herald’ printed its first issue. The town’s post office also opened in 1901 and the first ever football match in Katanning was played. The following year, F.H. Piesse’s mansion, ‘Kobeelya’ was built. A decade later, F.H. Piesse died and his son inherited the roller flour mill which continued its operation until1977.